Medway Cruising Club is running two open days in conjunction with the Watersports Centre and under the RYA Push The Boat Out initative. This is a great opportunity for us to show off our facilities and what we do. The Open Days are on 5 and 6 May opening times are 11:00 to 16:00. There will be loads to see and do. Poster flyers are available in A4 and A5 size if you know somewhere that one can be posted. The RYA Regional Youth Champion Awards recognise the outstanding achievement and performance of talented young people in sailing, windsurfing and powerboating. The awards are a fantastic opportunity for clubs and class associations, as well as individuals, to reward those making an impact through performance and dedication – recognising the rising stars of the future. Are you going to Push the Boat Out? The RYA’s Push the Boat Out programme is a great way to introduce people to boating and get new club members. If any RYA affiliated clubs/centres on the Medway are considering offering Push the Boat Out events in May next year, they can sign up their initial interest via the link below. More details will then be requested early in 2019 so that PTBO resources can be printed for them and despatched in time. 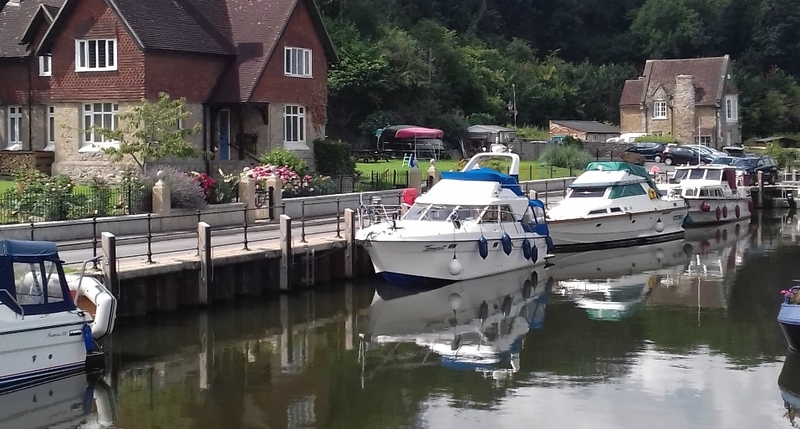 Boaters on the non-tidal Medway and Thames are to be hit by inflation-busting increases in fees from next year. If boaters abandon these waterways the result will be counter-productive for the Environment Agency. The public consultation on the EA’s proposed navigation charge increases for 2019 to 2020 and 2020 to 2021 is now live here. Please respond using this online tool which will enable the EA to manage their comments more effectively. However, if you prefer to respond by email or post, you can email enquiries@environment-agency.gov.uk using ‘Navigation charge proposals 2019 to 2021’ in the title. You will get the consultation documents and a form in the post to complete. All responses must be received by Thursday 30 August 2018. The RYA is turning the spotlight on 2017’s most promising young sailors, windsurfers and powerboaters by opening nominations for the RYA Regional Youth Champion Awards. These awards are a fantastic opportunity for clubs, class associations and individuals to recognise the outstanding achievement and performance of young people across the range of activities that the RYA represent. Nominees must be under 19 years of age at 31 December 2017. From the nominations received, each of the RYA regional committees will select a regional winner. RYA Scotland and RYA Northern Ireland conduct a separate awards process. 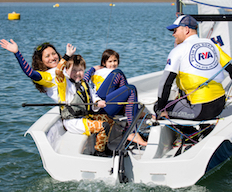 All award recipients and their families will be invited to the RYA Dinghy Show for the official awards ceremony. Nominations will close on 19 January 2018. On 28 February the Sheerness inshore lifeboat rescued two men in their 6 metre RIB after it was swamped near the Kingsnorth jetty. 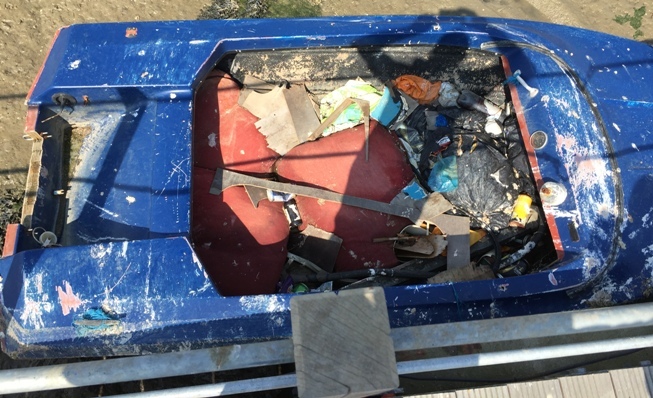 A spokesman for Sheerness RNLI said, “The men were actually out in the craft for the first time when they were swamped by a wave which caused total electrical and engine failure.” The boat was towed to Queenborough Harbour. 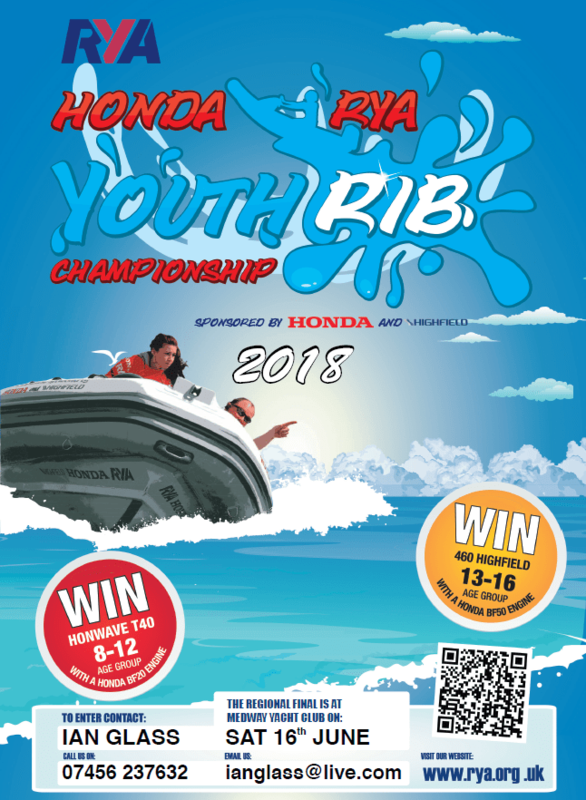 The RYA London and South East area Honda RYA Youth RIB finals will be held at the Medway Yacht Club (MYC) on Saturday, 8 July 2017. MYC would like this year’s event to include participants from across our London and South East area. The championship is split into two age groups; 8 to 12 and 13 to 16. The events are exciting and very well organised. There must be many boys and girls who would revel in the opportunity to take part, and; one really useful outcome is the potential for future safety boat drivers! Get someone from your club along to this event! The RYA London & South East Regional Affiliated Club Conference takes place on 12 November 2016 at New Line Learning Academy, ME15 9QL. Following the success of the Regional Affiliated Club Conferences which were introduced last year, a series of conferences will again be taking place across the UK during October and November. Each conference will include a national and regional update, along with a range workshops and clinics delivered by RYA staff, contactors and volunteers. To book your place at the conference please click here. The conference is an opportunity to feedback some of what has been happening across the UK and in clubs within the region, and to look forward to ensure that 2017 is even more successful for clubs. It will also provide us with a great forum to engage with RYA staff and volunteers who will be on hand to answer any questions we may have.